Lock screen - bypass swipe to get to home screen? I'm a long-time Samsung user, and I always have just completely disabled the whole lock screen nonsense -- I've usually had the flip covers that turn the screen on when you open them, and then I'm right at the home screen, with no swiping necessary. But I sure can't find any option like that on the new Mate 9 I just picked up -- is there any way to get rid of that infernal need to swipe every dang time you want to turn the screen on?? Fingerprint id on the back is fast reliable and easy habit. No, a thousand times no, a million times no, a trillion times no -- I just want to turn my phone on and use it -- is that really too much to ask?? You don't even need to tap or press power button. Not.One.Extra.Step. Grab and you almost can't miss, unlike other phones. It doesn't have the always on when being looked at which to me is much more if pet peeves. Play with for few days. Suspend judgement. If it is a No I don't think fingerprint Id is secure, that's another matter. Six character pin or greater will be needed and FID is very convenient to access and act as password. No, whatever it is, I don't want to screw around with it. No, I'm not going to come back in here and go, "Now the fingerprint ID thing doesn't work, and I can't get into my phone," like I've seen a thousand different times with other phones. No, I'm not going to have my phone just sitting on a table, and whereas I could just open up the cover and go right in with every Samsung phone I've ever used, now I've got to pick up the phone, press the fingerprint ID thing, hope that the aftermarket case that I'll put on it might still work with the fingerprint ID, then open up the case. And so on. I have such a third-party case coming from Amazon -- a flip-open case with a window, very much like the Samsung S-View cases, and it allegedly works with the Mate 9 very similar to how Samsung works with their cases. And make no mistake: If I can't just open up that cover and see the home screen without further swiping or grabbing or putting my finger somewhere, I'll put a fork in it. And I'll return the Mate 9. I just AM NOT going to screw around with just turning on my dang phone dozens and dozens of times every day. I've never had a password on any computer I've ever owned, I've never had a password on any notebook computer I've ever owned, I've never had any phone that I've had to screw around with swiping or using a fingerprint ID, I've never had any tablet that I've had to screw around with swiping or using a fingerprint ID, and I sure as heck am not going to start screwing around with something like this every time I look at my phone. Yes -- gasp -- I'll be totally unprotected, but that's how I've been since Day 1, and I'm not going to start putting up with computers or whatever that put blocks in my way when I want to use them. 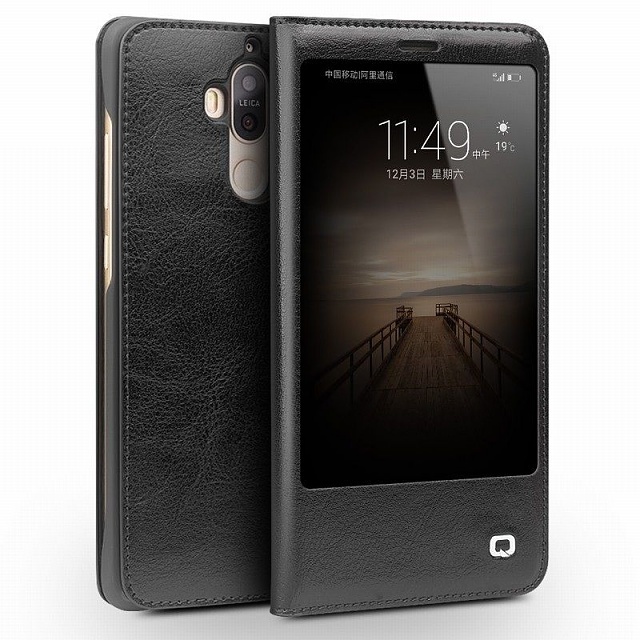 I can see being all passworded up with "work" devices, but this is a deal-breaker for me if I can't just open the cover of this new case I'm getting, and then the Mate 9 will just show me the home screen, without some other interaction from me. Yes, it's that big of a deal to me, and I presume all of the "use the fingerprint ID" replies mean that yes, indeed, there is no way to just turn the phone on and be at the home screen. I'll give it one more chance, when the case gets here, but at this point I'm 99% ready to return the Mate 9. You need another Samsung. Hope it doesn't explode. Jeez. Just go back to Samsung. I hope they don't change that feature inn your case. If you aren't willing to spend time with a new device to see if you develop the unconscious movements necessary to operate that new device, you shouldn't be switching devices. That extra swipe could become such a habit that you don't even notice it. If you compare this Mate with the Nexus 6P (my previous phone), the Mate has its power and volume buttons reversed. I kept hitting volume up instead of the power button. Instead of complaining, I gave it time and guess what happened,... I retrained myself and now I go right for the power button. I have to agree that I have mixed feelings about the fingerprint sensor on the back. It's so fast though. I get that some people may not like it. Bit - Samsung appears to be moving theirs to the back too. If a phone from a different manufacturer doesn't do what you want, stick with the manufacturer you like. You could try using Smart Lock. If I remember correctly, when Smart Lock is turned on, the phone will turn on immediately to the homescreen, as long as the Smart Lock is active (e.g., if you're in a Trusted Place, or if you have a Trusted Device connected via Bluetooth, or if you have On-Body Detection turned on). I've got the unconscious movement I want to use down just fine: Open case lid, use phone. You could try using Smart Lock. Thanks for some actual advice that relates to my question. I'll check it out. No worries, and thanks for your help. I've got a Samsung Galaxy S7 Edge, which I'm learning is actually quite a bit better than I've given it credit for. My experience with the Mate 9 has really helped me put it into better perspective. For instance, did you realize that by placing the navigation controls on the screen, instead of in the bezel below it -- like Samsung does -- the Mate 9's "bigger" screen is utterly no "taller" than the S7 Edge's screen? For video playback and image viewing, the navigation controls "go away" and thus you really do get more screen real estate, but for all of the other apps, those on-screen navigation controls actually eat up a significant amount of screen real estate. Folks, please keep responses constructive. If you don't have any helpful suggestions, please move on to another thread. Thanks! Dimas de Leon likes this. You are right about it working with trusted devices. When it's on in my car, I can just hit the power button and it comes on. The OP wants to do the case thing. Does the Mate 9 actually do the open case, turn on deal? But the combination of a smart-cover case and Smart Lock should let the OP do that, right? Yes, i'll give you that. I've never been a fan of on-screen navigation keys. That's one of the reasons I took back my LG V20 and got the S7 Edge. Now, that aspect doesn't bother me. I think even the S8 and S8+ are going away with the home button key, not sure how they'll implement on-screen navigation keys though. I still have the S7 Edge, and usable screen is 5.5" tall and the Mate 9's usable screen is maybe 5.7" with navigation keys, like you said, but it is wider than the S7 Edge. I don't like the edge screen anymore, I prefer wider screens, gives you a bit more of usable screen width wise. And I was never big on watching videos on my phone but I've found myself watching more videos on the Mate 9, better sound and bigger screen than the S7 Edge, more pleasurable experience. And even though the S7 Edge has a better screen resolution, I really can't tell the difference. And to be honest, my settings on the S7 Edge were set to 1920x1080 to save me some battery life. 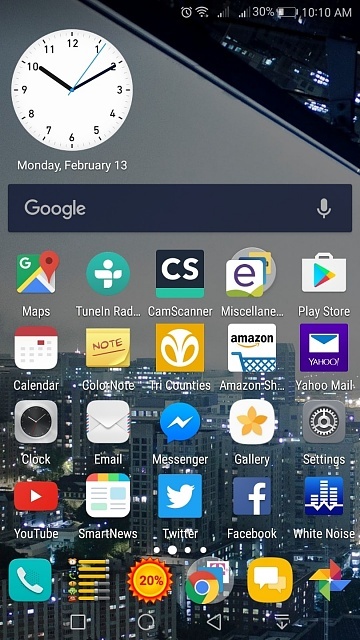 Regarding all other apps, both screens give you a 5x5 app grid and the app icons are bigger on the Mate 9. Also, if you'd like more apps on your home screen, you can install a launcher. I use Nova and use a 7x5 grid. Also, just curious, which smart cover did you order? Yes, in theory. It's just a matter of being able to set the Smart Lock to trigger all the time under a variety of circumstances, not just the car. On body isn't 100% dependable especially when you have it sitting on a table. I just don't use Smart Lock anymore with this phone since the fingerprint sensor is so quick (I know that is not what the OP wants to do). It's easier than finding the power button. I assume a flip case is even more convenient. I just hate them - left handed. I got exactly the same problem as thoots. However, it is for another reason. I use the app "Tasker" a lot. One of the task is for starting some programs when starting my Car. Before, with my Note 4, when phone connected to Bluetooth in my Car, the phone screen powered on. It then started some GPS programs, police scanner, EyeonRoad and so on. But becourse Mate 9 Pro, can't power on screen without swiping, it's not so automatic any more. Maby it can be fixed with "trusted devices" but I diden't understand it..
Another thing, but that's maby easy to fix. There is more space between the keys, but I often hits the wrong one. Perhaps I can just add another keyboard app. Swiftkey is the best keyboard. I've been using it for years. You can change the screen size (5 different sizes), 3 different layouts, you can undock and add number or arrows rows if you want to. Many other settings too. Mite be a bit late for u, but I came across the same problem. I was moving to Mate 10 and pass on the Mate 9 to my mum, she isnt fuzzy about security. Remove all password and then get into developer's options. (if u dont know how, u go to the model# and then press 5 times, u should search online) turn the field where it says "lock screen" or something like that... i fixed it in chinese version. i've made the switch from apple to samsung to huawei, these phones are seriously getting way too expensive. Email App that Allows to Switch send from to Alias AND doesn't force Conv View? WHy does my note 10.1 date revert to 2012? I am not able to switch it off.